The United States has many scenic destinations to offer travelers, and California is definitely one of the most popular. And why not? California has it all – beaches, mountains, wildlife, culture, and a world-renowned food and wine scene. California is simply stunning. I’ve not yet traveled every mile of the state, but I’m working on it. In the past thirteen months I’ve covered a lot of ground. The more I see, the more I love California. In January, I packed the car and headed north to discover California’s Central Coast and drive iconic Highway 1 from Los Angeles to Monterey County, staying in Cambria, Big Sur and Carmel. If driving the serpentine highway hugging the mountains on one side and plunging to the sea on the other doesn’t leave you breathless, the scenery will – it’s that beautiful. The 90 mile stretch from Cambria to Carmel will bring to mind songs like California Dreamin’ by the Mama’s and the Papa’s, and Wilco’s California Stars. The landscape varies from rugged and wild, to rolling hills and verdant fields of grazing cattle near Cambria, to redwood forests and the jigsaw coastline of Big Sur, where it’s common to see whales and sea otters offshore. It is simply breathtaking any day, any time, and felt like a dream to me. No matter what time of year you go, you’ll need a place to stay. 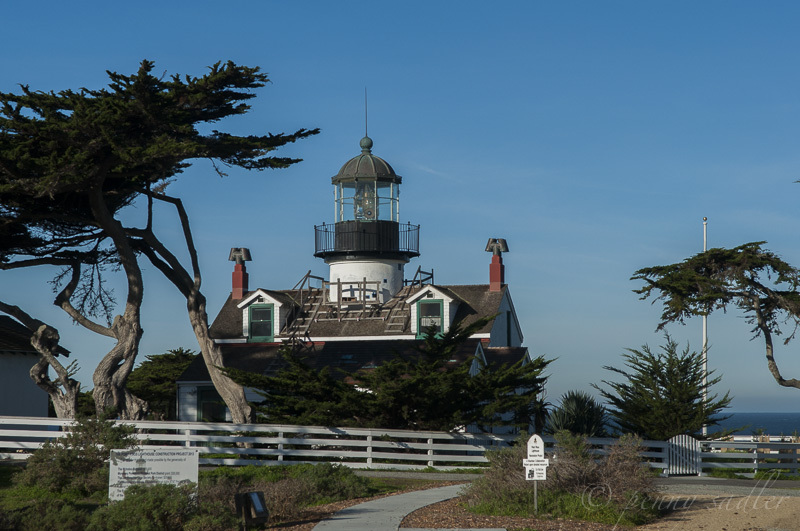 I’ve compiled a list of lodging options from Cambria to Carmel based on location, cost, and personal experience – you’ll find a wide variety of accommodations to suit all budgets. Let me know if you have a great place to add to this list. Cambria is the most northern beach town in San Luis Obispo County along Highway 1. I stopped here to spend one night before resuming my drive to Monterey Bay the next day. Pacifica Hotels offers several lodging options to choose from along Cambria’s Moonstone Beach, voted one of America’s Top 10 Beaches by USA Today readers. Moonstone Beach gets it’s name from the clear colored stones that shine like the moon. Walk the mile long boardwalk or comb the beach for sea glass and multi-colored stones. Pelican Inn and Suites, just steps away from the beach, is a lovely boutique style inn with many luxury amenities: jacuzzi tubs, plush robes, upscale bath products, gourmet coffee, luxury linens, a spa, and work out room. Some rooms and suites feature private terraces and fireplaces as well. My room was large, stylish, and comfortable, with a king size bed, luxurious sheets, and fireplace. I also had a jacuzzi tub along with a separate shower and an additional sink and vanity – perfect if you’re sharing the room. Loved this bright and comfortable room at Pelican Inn & Suites. Complimentary breakfast is served every morning from 7:00 am to 10:00 am and includes: fresh coffee, hot tea and an assortment of cereals, breads, eggs and juices, eggs and waffles. In the evening there is a wine and cheese happy hour serving Central Coast wines from 5:30 to 7:30 pm. Rooms start at $199 per night. Pelican Inn and Suites is a great base for visiting other area attractions like Hearst Castle, the Elephant Seal Rookery, and Paso Robles wine country is just a thirty minute drive inland. North of Cambria, about 60 miles, you’ll come to the coastal area known as Big Sur – this is the ultimate Highway 1 experience. Travelers who want to immerse themselves in the great outdoors and fall asleep to the sound of waves crashing on the shore, come from all over the world to experience the magic that is Big Sur. There’s a great variety of accommodations from camping to luxury spa resorts. Peak season is April to October. I’ve not listed any camp grounds here but please feel free to share your experiences in the comments or via my contact page. Highway 1 – Big Sur, California. The Big Sur River Inn is better known as “the place with the chairs in the river,” _ a tradition that was established when the current owners took over the Inn and guests began to move the big adirondack-style chairs into the river where they would sit with their feet in the cool soothing water under the shade of tall redwood trees. The chairs have become a trademark of the River Inn, one of the oldest lodgings in the area. Established in 1934 it was originally named the Apple Pie Inn and apple pie is still on the menu today. In 1943 it became the River Inn and remains one of the most preferred accommodations in the central part of Big Sur for quiet respites (there are not phones or televisions in the rooms), family vacations, and even intimate wedding celebrations. “The place with the chairs in the river,” Big Sur River Inn. The Big Sur River Inn features a full-service restaurant, a general store, an outdoor pool, and several state parks located nearby. It is the ideal destination for travelers who prefer to be conveniently located near numerous points of interest. It’s also one of the few places where you can fill your tank up with gas and has been so since it opened. In fact, in 1934 when the Inn was first established, Highway 1 between Cambria and Big Sur didn’t exist. There are twenty casual but comfortable guest rooms and rates here start at $130 per night. Wi-fi is available however I found it worked best outside the rooms. Exterior Big Sur River Inn. Riverside room at Big Sur River Inn. The rooms facing the river are big enough for up to four people. You enter into a small sitting room with a trundle bed and table that can serve for dining or a desk. The bedroom has a king size bed and a color scheme that took me back to the 70s. However, on the website it looks like there may have been an update since I was there. If you’re looking to save some money on accommodations in Big Sur, but aren’t into full on camping, this could be the place for you. Ventana Inn and Spa Big Sur is a luxury resort and was included in Conde Nast Traveler’s list of Top 100 Best Resorts in the Continental U.S. in 2014. Ventana offers five-star accommodations and a wide variety of services that range from complimentary yoga or Pilates classes to intimate and luxurious Japanese hot baths. These services set Ventana apart from other resorts in Big Sur. Thanks to its refined, romantic, and iconic appeal, this hotel is well-appreciated by both local and foreign tourists. The room rates at Ventana Inn and Spa start at around $400 per night depending on the season and room type, which range from guest rooms to private cottages. Guestroom Ventana Inn Big Sur. Photo courtesy Ventana Inn. Be sure to dine at the Restaurant at Ventana where the food, atmosphere and service is equally impeccable. Many of the employees have been there for over twenty-five years and take great pride in providing an unparalleled level of service to all diners and guests. The restaurant at Ventana Inn Big Sur. Photo courtesy of Ventana Inn. Lucia Lodge is one of the most famous accommodations available in Big Sur. It was constructed by one of the first families that settled in the region, and it is currently being maintained by the fifth generation. Lucia Lodge gets its name from the mountains that surround the vicinity. Perched on the edge of these mountain cliffs, guests enjoy unobstructed views of the Pacific Ocean. Lucia Lodge is the place for travelers who want a quiet tranquil retreat where they can merge with nature, but don’t want to camp. Imagine sitting outside your room in a comfy lounge chair listening to the sound of the surf below and gazing up at a star-filled sky. There are ten updated rooms, some more modern than others, but all very comfortable. Depending on the season cabin rates range from $180 to $295 per night. The lodge features a restaurant, a convenience store, and complimentary Wi-Fi access. Exterior Lucia Lodge. Photo courtesy of Lucia Lodge. If golf is your thing, you’ll definitely want to stay in Carmel Valley at the lovely Quail Lodge Golf Club and Resort. There are 75 guestrooms and 18 suites right on the golf course and decorated in a California hacienda style -suites have private patios and face a lovely pond and water fountain. The view from my suite at Quail Lodge Resort. Standard features with each room include: complimentary wifi, luxury bathroom amenities, guest parking, gourmet coffeemaker and bottled water. Breakfast for two is served each morning and features a good selection of gluten-free and dairy-free options along with plenty of fresh fruit. Guestroom rates start at $225 and suites at $325. Personally I think the suite is a deal. The room is huge and well appointed – I warmed my toes by fireplace one chilly night. Another fun feature was a remote controlled skylight; I was able to gaze upon a full moon over my bed one evening. Suite at Quail Lodge, Carmel Valley. Quail Lodge Golf course features an 18-hole course originally designed by golf architect, Robert Muir Graves. The course has been recently updated with an eco-friendly design. I’m not a golfer but I still enjoyed the environment and you don’t need to be a golfer to to stay at Quail Lodge. I can only imagine that if you do play golf, this is a great place to play. Read more about the course and recent updates on Examiner, and on the Quail Lodge website. Rooms on the golf course. Quail Lodge Resort. Holman Ranch feels like a world of its own, nestled high the hills of Carmel Valley. The original stone hacienda style property has ten guest rooms all built with Mexican terracotta tile, local stone mined in Carmel Valley, and exposed dark wood beams. This unique historic property, built in 1928, has always been a guest resort, a place of serenity and luxury on a 400 acres ranch. This is the place for the person who wants something special and elegant but also comfortable and casual. Sweet little chapel at Holman Ranch. Holman Ranch is well equipped to host weddings (there’s a small chapel on the property), corporate retreats and other large scale events. Activities include: horseback riding, swimming, vineyard tours and wine tasting. All wines are estate grown and bottled at Holman Ranch. Exterior, Will’s Fargo. Photo courtesy of Holman Ranch. Holman Ranch also has a great restaurant on Carmel Valley Rd. called Will’s Fargo. The ambiance is old west and the atmosphere is very fun. While the decor is western the food is modern, it might have something to do with a having a French chef in the kitchen. I tried the quail with pomegranate sauce, grilled artichoke, and some kind of crazy chocolate dessert that was truly decadent. Each course was paired with one of the Holman Ranch Estate grown wines. 19 E. Carmel Valley Rd. One of the main streets in Carmel, a walking town. Carmel-by-the-Sea has a large variety of accommodations. No matter where you stay you really can’t go wrong – the whole town is only a mile wide so you can easily walk it. There’s great shopping, wine tasting, dining, and of course, there’s the beach. Carmel is also known as a pet-friendly town and you will see plenty of furry friends everywhere you go. If you like traveling with your pet(s), you’ll love Carmel. Exterior of Hofsas House, Carmel. Hofsas House is a family owned hotel that has been operating in Carmel for sixty years. The current owner, Carrie Theis, inherited the hotel from her grandmother and it’s clear that her roots are deeply planted in Carmel. She knows her way around and clearly enjoys her roll as lady of the house – ask her anything about Carmel. Carrie’s grandmother once lived here and many of the rooms are furnished with her original furniture. There are 38 rooms of various sizes, each decorated differently – no frills, but comfortable. Continental breakfast is available each morning and wi-fi is also complimentary. My room came with a small kitchen and a wood-burning fireplace. The best part though was the gorgeous sunset view from my balcony every evening. Sunset from the balcony at Hofsas House, Carmel. Room interior, Hofsas House. Photo courtesy of Hofsas House. Paradise is affordable sometimes. If you are looking to splurge on food, wine, art and shopping in Carmel, but save on accommodations, try Hofsas House. San Carlos & 4th St. If it’s luxury you are seeking, check out The Cypress Inn, a luxury boutique hotel in the heart of Carmel-by-the-Sea. The old world charm of the hotel can be observed even from the exterior. Stepping into the lobby of the hotel, I received a warm reception and offered a chance to tour the hotel. With 44 elegant rooms and suites decorated in Mediterranean style, Cypress Inn is a part of an elite collection of Carmel Boutique Inns. It is perhaps best known as the hotel owned by Doris Day and was the first pet-friendly hotel in Carmel. The Cypress Inn also offers eco-friendly amenities like: reverse-osmosis filtered water (allowing guest to avoid using plastic water bottles) and eco-friendly soaps, shampoos and conditioners. The hotel has a strong tradition in providing an environmentally safe and welcoming environment for guests. Room rates begin at $265 for a standard queen room and $365 for a king. Have you stayed at any of these places? If you are planning a trip to California’s Central Coast don’t miss my article the Ultimate California Road Trip: Tips For Driving Highway 1. If you find this article useful please share! My trip to the Monterey Bay area was sponsored by See Monterey and Kia, however all opinions expressed are my own. I’m lucky enough to live half an hour from Cambria, so I can enjoy it often. Moonstone Beach is one of my favorite places. I also love the Carmel and Monterey area. Asilomar is my favorite beach near Monterey, though during the off-season I also enjoy the beach at Carmel. Did you happen to stop at Point Lobos? It’s a great place to observe the wildlife of the area and take short hikes. Did you happen to get to the Paso Robles wine country on this trip or some other? I just read and replied to that post. You’ll have to come back. There’s still much you’ve missed. Yes I know. 2 days is not long enough. Great post Penny. I had not heard of Cambria till now 🙂 Lodging options are very unique. A lot of people bypass Cambria but it is definitely worth a stop! Wow! This is the perfect post for me. My family and a relative will be driving the pacific coast August coming from Riverside to San Francisco. Good thing I read this… we’ve booked some days in the Bay area to visit friends and hospitals for possible future work but I hope we can stay overnight in one of the places you mentioned here. I believe we are staying overnight in Solvang, I wish we have more days to spare so we can visit more places. I got a bit scared when you mentioned about the zigzag road…I guess we’ll just drive safely slow enough. Thanks. So glad to hear you found it helpful. For a family stay I think you’d love the Big Sur River Inn. And the location is great, kind of in the middle of Big Sur, close to restaurants, parks, McWey Fallas etc. I passed through Cambria on my way up north! It was a random stop but I really liked it! I wish I could have stayed longer ^_^ Great post! Thanks for the comment. Cambria is a sweet little place. I didn’t stay long enough either! What a thorough post! Lots of great options here. I must say, your photos really make me nostalgic for California travel. There’s something about the light there that’s magical, and you captured it. Thanks Lillie! I really appreciate the comment. Makes me feel I did something right! Thanks for sharing all of these great lodges, inns and the ranch. We generally prefer to stay in smaller locally owned lodging when we travel so we know our money goes back to community. I love that The Big Sur River Inn celebrates the tradition of relaxing in Adirondack chairs in the river. That sounds like a great way to recuperate after a hike. Love all of your photos! Hey Mary, Actually several of these places fit the bill: Lucia Lodge is family owned an only 10 rooms I believe? You and Bret would love it. Hofsas House is bigger but family-owned for 60 years as is Holman Ranch. It has a very small intimate feel to it. Thanks for the comment on the photos I really appreciate that. I love this selection of lodging options. I been to a couple of the places like Hofsas House and Pelican Inn — really enjoyed them, especially for their great locations. Lucia Lodge would be a wonderful place to stay. We stopped there just for lunch one day and I didn’t want to leave. Hey that’s great to hear you know some of these places. Pelican Inn is sweet isn’t it. I agree about Lucia Lodge. I was heading back to LA and stopped there just to take a break and the location absolutely caught my attention. Next time! Gorgeous! These photos alone make me want to go on that road trip!! Looks like a dream! My boss was just in Monterrey for a few weeks and was completely enchanted. A few weeks in Monterey and I’m not sure I’d leave. It is lovely!